RVW did not write that much piano music, though music for pianos runs through his career. A pair of recent discs enable us to hear not only his solo piano music, but a rarely performed work for two pianos, as well as music arranged for two pianos. 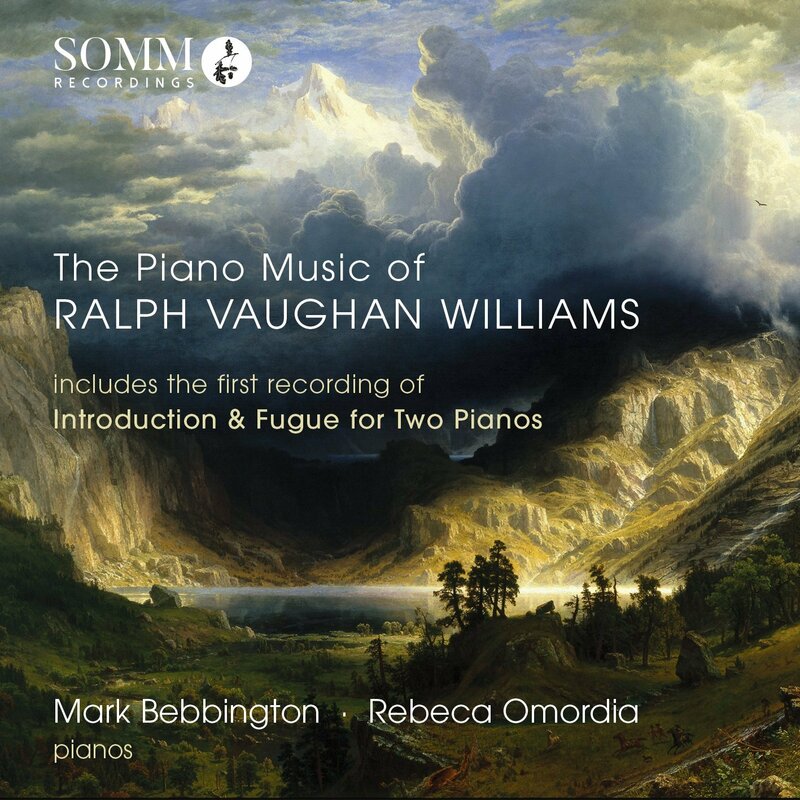 On SOMM's disc The Piano Music of Ralph Vaughan Williams Mark Bebbington plays The Lake in the Mountains, the Bach arrangement Ach bleib bei uns, Herr Jesu Christ, the harmonisation of Orlando Gibbons' Hymn Tune Prelude on 'Song 13', A Little Piano Book and Suite of Six Short Pieces, and Bebbington and Rebeca Omordia play RVW's Introduction and Fugue for two pianos, Maurice Jacobson and RVW's arrangement of Fantasia on a Theme by Thomas Tallis, and the Fantasia on Green Sleeves. 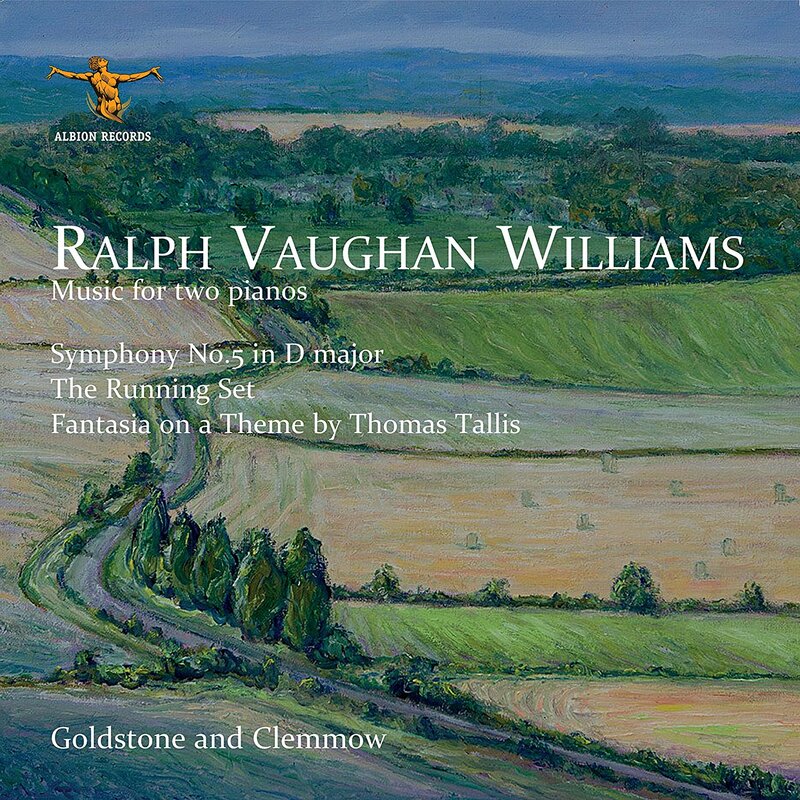 On Albion Records' disc Ralph Vaughan Williams - Music for Two Piano, Anthony Goldstone (who died earlier this year) and Caroline Clemmow play RVW's Symphony No. 5 in D minor arranged by Michael Mullinar and RVW, edited by Anthony Goldson, The Running Set arranged by Vally Lasker and Helen Bidder, and the Fantasia on a Theme by Thomas Tallis. Arguably RVW's major piano work is his piano concerto, and this forms an interesting backdrop to SOMM's disc. The piano concerto was written for Harriet Cohen, for whom RVW wrote a couple of solo piano pieces. But his final piano solo was written for Phyllis Sellick, who with her husband Cyril Smith gave the premiere of the version of the concerto with the solo part arranged for two pianos. And it was for Sellick and Smith that RVW wrote the Introduction and Fugue for two pianos. Besides these pianists the disc introduces other players who were close to RVW, notably Michael Mullinar and Vally Lasker, both of whom were involved in the initial piano play through that all of RVW's major works underwent. The Lake in The Mountains from 1947 (written for Phyllis Sellick) is a solo piano piece which RVW created out of an episode from his music for the film The 49th Parallel. It is an atmospheric piece of tone-painting and a fine piece of mature RVW which Bebbington plays with lovely fluidity. 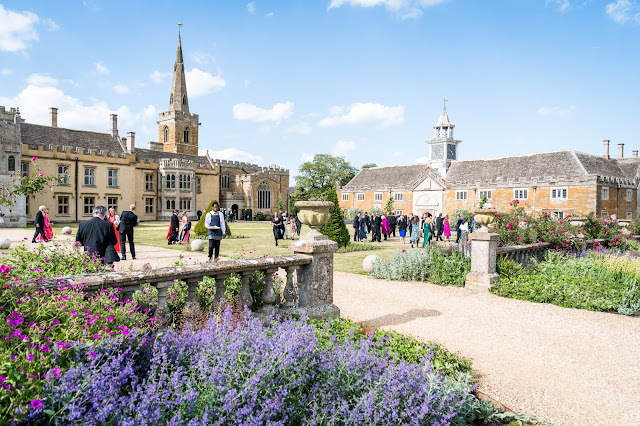 RVW's arrangement of Bach's Ach bleib bei uns, Herr Jesu Christ BWV 649 comes from Oxford University Press's The Harriet Cohen Bach Book which contains Bach transcriptions/arrangements by RVW, Bantock, Bax, Bliss, Bridge, Howells, Ireland, Lambert and Walton. It is a book which is remarkably little known. RVW's transcription/arrangement is pure RVW, rich of texture yet indicative of his love of Bach. It was Cohen for whom RVW wrote the Hymn Tune Prelude on 'Song 13' based on Orlando Gibbons which was written in 1928, again another richly texture re-imagining. A Little Piano Book (the article in the CD booklet rather confusingly calls them Six Little Pieces) consists of six short pieces written in 1934 for an Oxford University Press collection. Short, but not negligible, these are charming miniatures. As are the movements of Suite of Six Short Pieces (originally called the Charterhouse Suite) which dates from 1920. 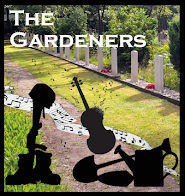 Lasting around 20 minutes it is a substantial work of 6 short movements, prime RVW written after he returned from World War One and given here in a fine performance by Mark Bebbington. But the main interest in the SOMM disc must surely by the Introduction and Fugue. Written in 1945-46 for Phyllis Sellick and Cyril Smith, it was premiered eight months before Sellick and Smith premiered the Concerto for Two Pianos. At the CD launch, Mark Bebbington (who studied with Phyllis Sellick) suggested that Sellick and Smith may not have had complete confidence in the work, certainly they never really promoted it or taught it to students. As a result, though published, it remains rather unknown. It is a terrific piece, lasting over 17 minutes. Shortly after I heard Mark Bebbington and Rebeca Omordia perform the work at the CD launch, I heard Simon Callaghan and Hiro Takenuchi performing Hubert Parry's Grosses Duo in E minor for two pianos, another relatively unknown work (see my review). As RVW studied with Parry, he must surely have known it and the links are tantalising. 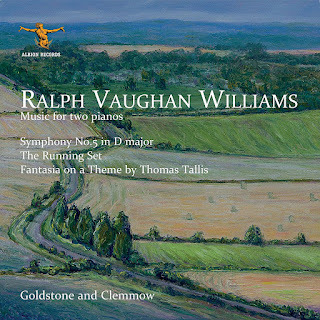 RVW cultivated a reputation, highly undeserved, for amateurism but the Introduction and Fugue certainly gives the lie to this as the fugue develops into a complex double fugue. 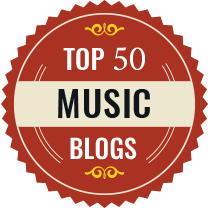 The performance from Bebbington and Omordia is terrific with the two providing a wonderfully balanced sound. They also play the arrangement of the Tallis Fantasia made at around the same time, by Maurice Jacobson with input from RVW. This sounds unlikely, transferring the string atmospherics of the original to the piano but it works wonderfully well and the piece is successfully re-invented as a piano work. The Tallis Fantasia is common to both discs, but the main work on the Albion Records disc introduces us to another pianist close to RVW, Michael Mullinar. Mullinar was student of RVW in the 1920 and was an accompanist, teacher and composer. Mullinar was involved in the first play through of RVW's works, which happened with a small group of trusted friends as audience, and RVW admired the way Mullinar was able to bring out the orchestral colours in his playing. So he was involved in producing piano (and two piano) versions of some of the symphonies. There is little documentation about Mullinar's involvement with Symphony No. 5, but the manuscript of the two-piano score includes bits in RVW's handwriting so it is clear he was involved too. The performance works wonderfully well and I would almost call it revelatory. The two pianists bring such a fine range of colour, touch and timbre to the piece that the music of the symphony seems clarified rather than reduced. Magical moments, such as the lovely cor anglais solo quoting from Pilgrim's Progress in the slow movement, work wonderfully well. But the work isn't just mysticism, and the more rumbustious aspects of RVW's writing come over well to, with some nicely rhythmically infectious moments. Goldstone and Clemmow are a beautifully balanced duo, giving a sense of unity and creating real richness of texture. The Running Set is a sequence of folk tunes arranged by RVW as a dance piece for the English Folk Dances Society. It is a delightful little piece and I have no idea why it is not better known. The Arrangement by Vally Lasker and Helen Bidder introduces our final pair of pianists, staff members at St Paul's Girls School and so colleagues of Gustav Holst and responsible for playing through new works by both Holst and RVW. Both of these discs are of more than academic interest. Whilst other pianists have recorded RVW's solo piano music, the inclusion of the music for piano duo, notably the Introduction and Fugue, make Mark Bebbington and Rebeca Omordia's disc essential listening for anyone interested in 20th century British piano music. Anthony Goldstone and Caroline Clemmow make a similar case for the arrangement of Symphony No. 5, giving us a stunning re-invention rather than a pale imitation, and something that can be enjoyed in its own right.